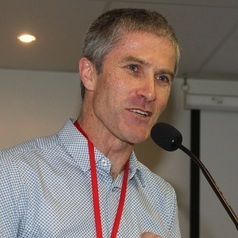 Dr Justin Coleman is a GP, medical writer/editor, campaign founder, and public speaker. He is a GP at Inala Indigenous Health Service, Brisbane, and formerly in the remote NT. He is a Senior Lecturer at both Griffith University and the University of Queensland, and has a Masters in Public Health (UQ 2011, 1st class hons). He has been President of the Australasian Medical Writers Association since 2011 and has published more than a thousand articles in the medical and general media. His interests include social media, overdiagnosis, evidence-based medicine and doctor's ethical interactions with the pharmaceutical industry. In 2014, he founded the 'No Advertising Please' campaign, following his work with the RACGP and Medicines Australia around transparency. He chairs the RACGP 'Choosing Wisely' initiative for NPS MedicineWise. He is regularly invited to give public talks and run workshops on one of his broad range of interests.